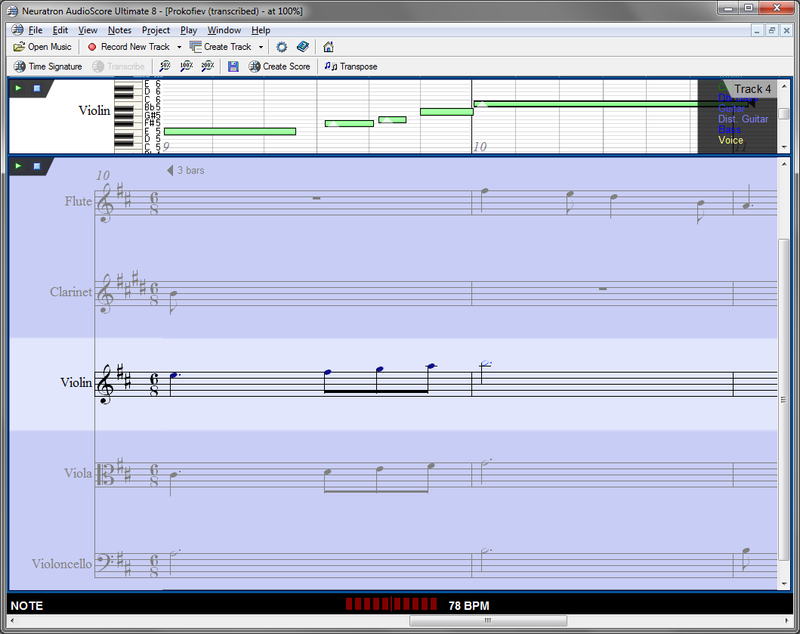 Convert it into a AudioScore’s its own professional score file and visualizes it. It distinguishes as any as 16 instruments or notes that are performed simultaneously and creates multiple staffs from 1 to 4 voices per one. Save it in one of the popular formats — MIDI, NIFF or MusicXML — to further work with the file and arrange it in any music program: Finale, Cubase, MagicScore, etc. Translate it directly to Sibelius and then edit it as one of its standard files. 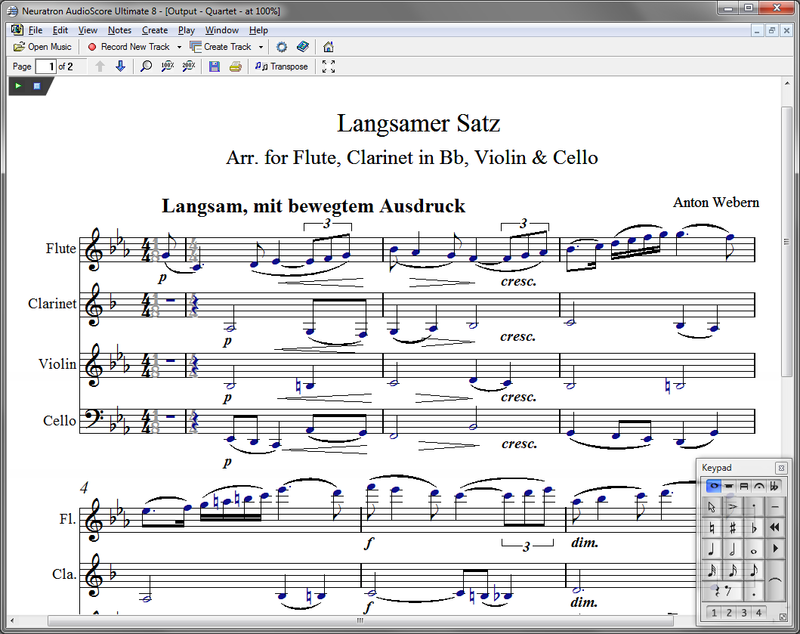 Final file can be sent to print as a PDF right away if no changes should be made to the input music. 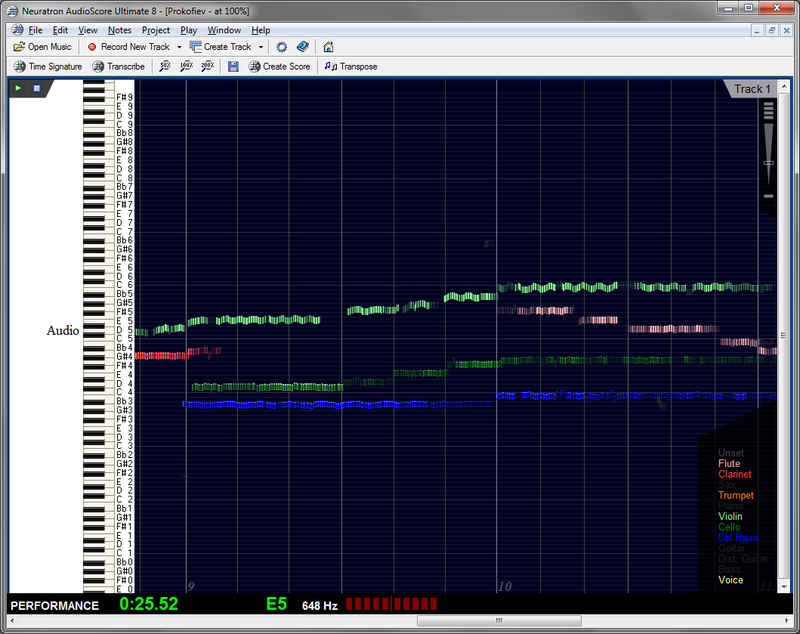 AudioScore turns every sound from the original music track into a corresponding note or a rest. It interprets the smallest details – pitch, time, nuance deviation — with great exactness. 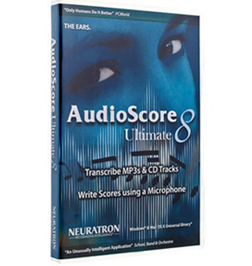 AudioScore in-built playback allows you to play the result file of any format with an extraordinary realistic sounding. Experiment with your new music file assigning any track any instrument you need. Learn with AudioScore. Perform directly with a mic plugged into your computer and create score from your singing or playing using Sibelius. The program mirrors your performing visually so that you can see where there is need to adjust for the music to sound better in-tune. Write any music that comes to your mind and the program will take care of all the technical characteristics of notation – notes, rests, key signatures, ties, etc. Any style and kind of music. Pitch ranging from F0 to C8. Volume and pitch change of 0.01 sec. Key signatures, cleft, duplets, and triplets.